UPS (NYSE: UPS) today announced it has begun to equip its drivers around the world with a new-generation handheld computer designed to support the business world's demands for continuous information and total mobility. The new computer - smaller and lighter than anything before it - will make life easier for UPS drivers at the same time it accelerates the delivery of package information to the UPS network and hence customers. The computer also is the first in the industry to leverage what is known as Gobi radio technology to allow instant switching of cellular carriers if one carrier's signal is lost, thus ensuring the device stays connected to the UPS network even when confronting "real world" problems. The device even includes a color camera that could be used to enhance proof-of-delivery information. And when it's not in use for operations, the computer can be used to provide training videos to 90,000 drivers simultaneously. "What began 20 years ago as a bulky brown box with a monochrome screen has grown into a sleek, light-weight mobile device that allows UPS to be even more reliable for customers in 220 countries," said Dave Barnes, UPS's chief information officer, in unveiling the device at a UPS Technology Summit in Hong Kong. "This computer accelerates the transfer of customer tracking data and makes it possible for UPS customers to track almost 16 million deliveries worldwide each day. "Increasingly, the technology that powers logistics is mobile," Barnes continued. "Being competitive means staying connected anytime, anywhere. Mobile technology has created a virtual logistics landscape where people and products move without limits - around warehouses, facilities, networks and the world - transforming customer relationships and business operations. And UPS is helping make that happen." The new computer, known as the fifth-generation Delivery Information Acquisition Device or DIAD V, is approximately half the size and weight of the DIAD IV; is more durable, and holds more data. Developed with Honeywell, the DIAD V weighs only 19 ounces and has a clearer and larger display. UPS's global network relies on the DIAD for most of the tracking information being viewed by customers online, facilitating on average 32.1 million online tracking requests daily. 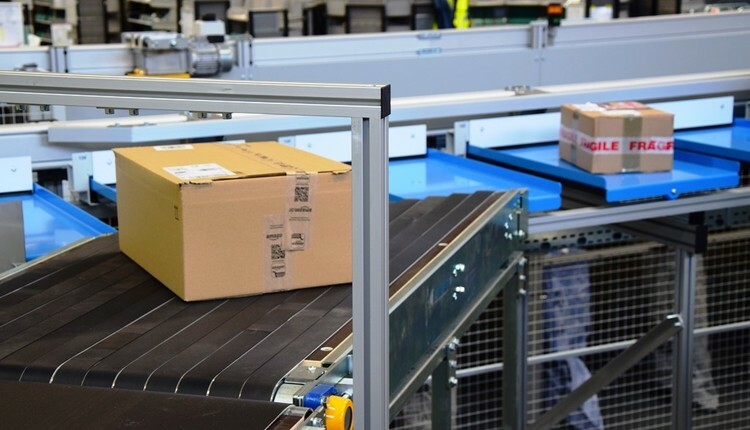 It also enables UPS operators to forward customer requests, including changes to package delivery instructions, while the UPS driver is on the road. A state-of-the-art color display and microprocessor with expanded memory to support driver training and future applications including navigation. For example, the DIAD V could be used to enable maps to help a driver avoid a traffic jam. A multi-dimensional imager that can decode many symbologies, including existing UPS linear barcodes and the UPS MaxiCode, without requiring the driver to rotate the DIAD to capture the barcode. The imager also could be used in the future to make it even easier to "capture" a clear view of a recipient's signature. Access to a more advanced cellular data network, which speeds the upload of package information to the UPS network at the moment a package is picked up, accelerating the first key step in visibility. A color, auto-focus flash camera that could be used to enhance proof-of-delivery and to help speed customer claims.